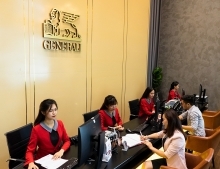 The list named the Central Hydropower Joint Stock Company, Ba Ria-Vung Tau Thermoelectricity Joint Stock Company, Garment 10 Joint Stock Company, Dong Nai Port Joint Stock Company, Nam Ha Garment Joint Stock Company, and PetroVietnam Power Corporation (PV Power), among others. Speaking at the event, President of the Vietnam General Confederation of Labor (VGCL) Bui Van Cuong said that the event was organized to praise unceasing efforts made the companies to improve the working environment so that their employees can maximise their capacity and devote to the firms’ development. Besides, it aims to raise public awareness of the value of human resources as well as the Party’s policies and State’s regulations on social welfare, he noted, adding that this is also a forum to nudge the businesses’ brands closer to the community. 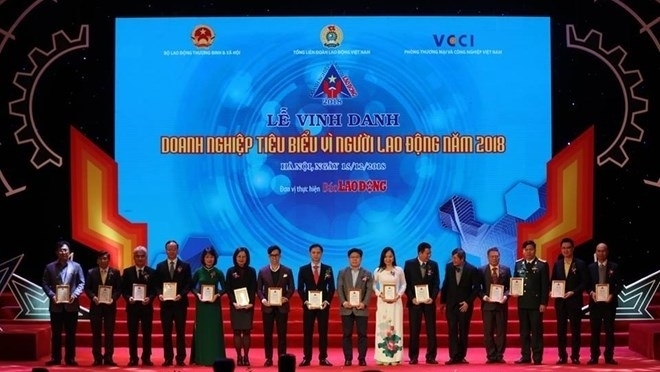 The list of the businesses, which ranked the best firms for labourers nationwide, was compiled by the VGCL, the Ministry of Labor, Invalids and Social Affairs (MoLISA) and the Vietnam Chamber of Commerce and Industry (VCCI). The companies were evaluated based on strict criteria reflecting the employers’ remuneration policy in terms of income, training, working environment, social welfares and team building activities, among others. After five years of organisation, some 335 businesses have been honoured, 119 firms received certificates of merit from the MoLISA, VGCL and VCCI, 15 presented standout businesses for laborers awards, and 12 others granted certificates of merit from the Prime Minister.